FORT DRUM, N.Y. (Aug. 10, 2018) -- Hundreds of Fort Drum residents gathered outside Adirondack Creek Community Center on Aug. 7 for the annual National Night Out event, hosted by Fort Drum Mountain Community Homes. "National Night Out is a nationwide celebration that promotes police-community partnerships and neighborhood camaraderie to make our neighborhoods safer and a more caring place to live," said Megan Klossner, Mountain Community Homes project director. 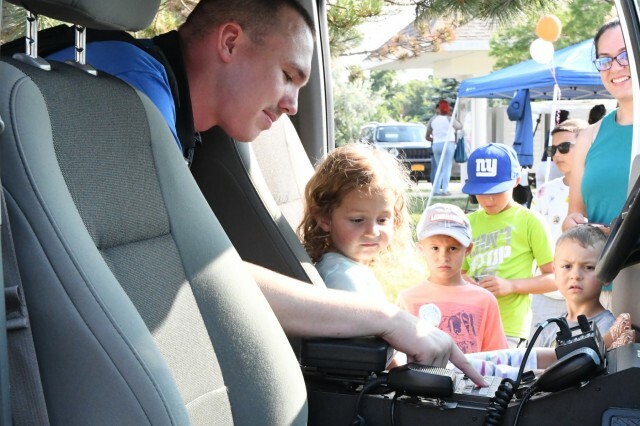 The national crime prevention awareness and safety campaign launched 35 years ago to strengthen community ties with its local law enforcement agencies. 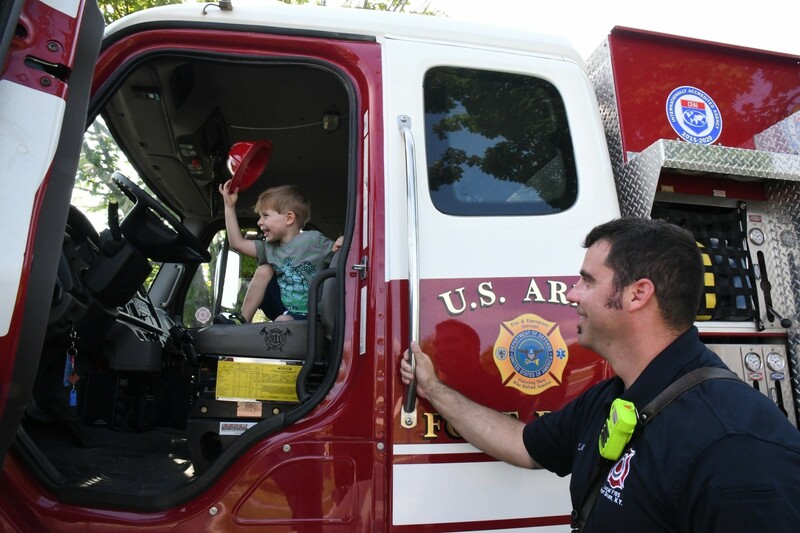 Last year, nationally, 38.6 million people participated in NNO events to include block parties, parades and socials. 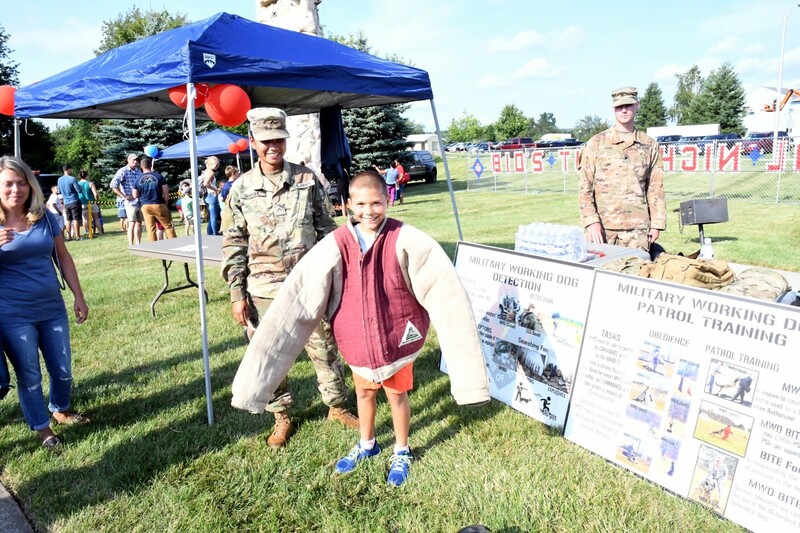 This is the 14th year that MCH staff has partnered with Fort Drum first responders to organize the community meet-and-greet. Members of Fort Drum Fire and Emergency Service were in attendance, as well as representatives from the Jefferson County Sheriff's Department and New York State Police. "Like our Soldiers, these men and women put a uniform on every day with one mission - to keep you safe," Klossner said during opening remarks. "Be sure to take time to talk to them this evening, and get to know your emergency services personnel." 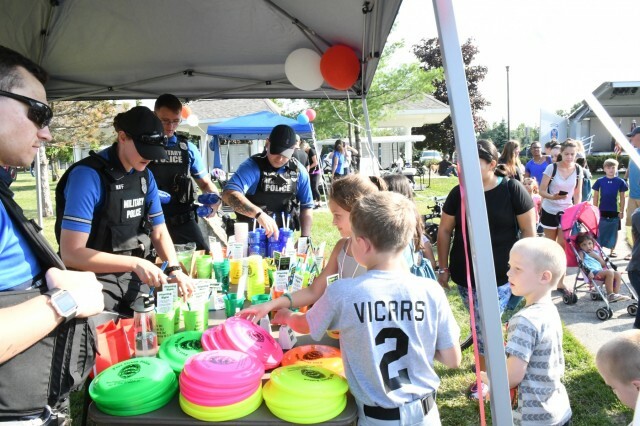 With bouncy houses, rock-climbing wall and other games for amusement, children could also climb into patrol vehicles and fire trucks and receive free water bottles and Frisbees from military police. Parents could register their children with the Jefferson County Sheriff's Department and receive Safe Child cards. When used in conjunction with the Amber Alert program, the Safe Child information can greatly increase the possibility of bringing a missing child home unharmed. Fort Drum Police Chief Todd Julien said that in addition to this being a great block party - with food, live music and games - it gives local law enforcement and emergency services personnel an opportunity to reach out to the larger community in a fun environment. 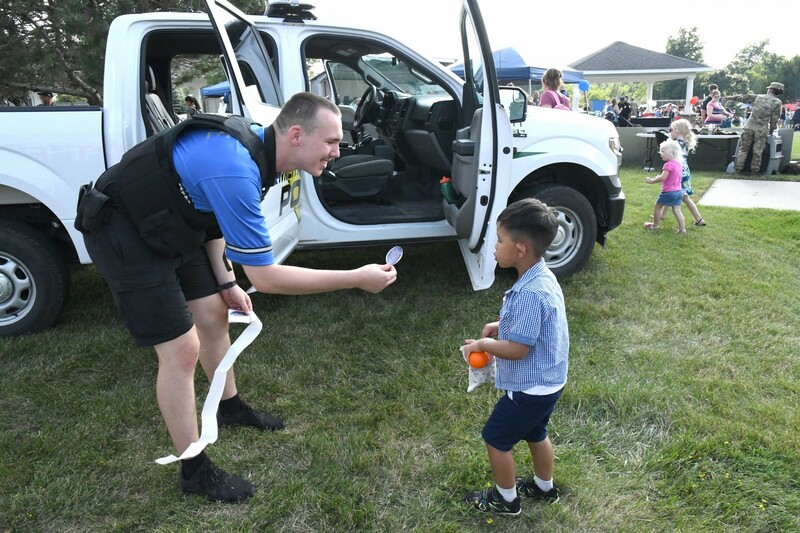 "Community policing is a concept that we try to do every day, but when you have an event like this where we all can gather, it makes it all that much better," he said. "It's an important night for us every year." Julien said that, for him, seeing the children interact with first responders makes this event memorable. 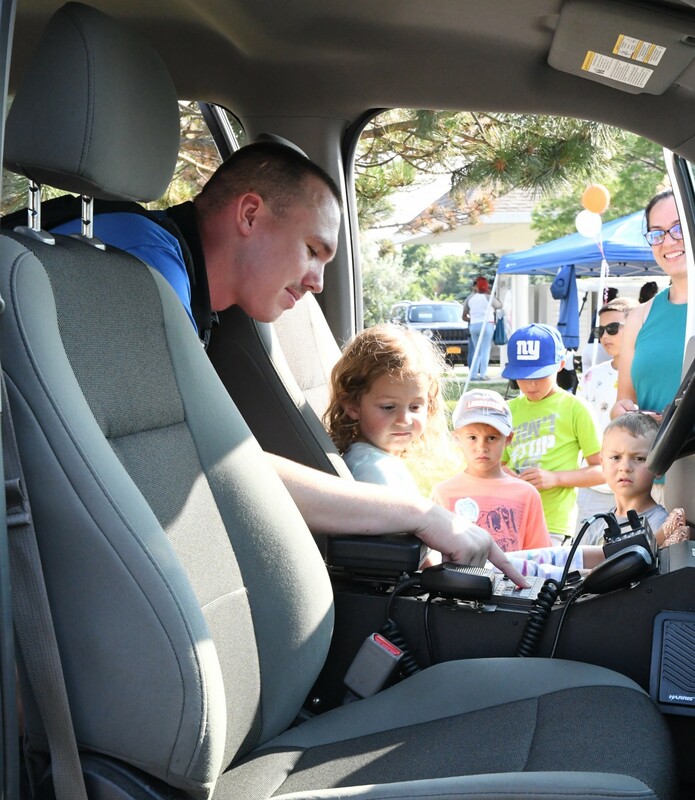 "Every time you see a child climb into a police car or a fire truck, and seeing the looks on their faces and seeing the police officers and firemen having a good time, that's where I get the most enjoyment," he said.